Frederic Frans played with the former Rangers and Dundee United player at Lierse. 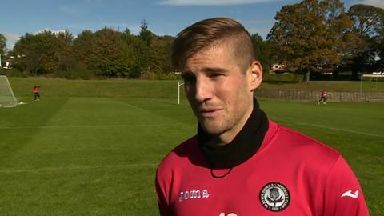 New Partick Thistle signing Frederic Frans says his special bond with Charlie Miller helped him secure a move to Scotland. 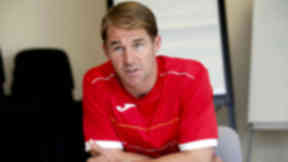 Belgian defender Frans played and formed a close friendship with the former Rangers and Dundee United star during their time together at Lierse. 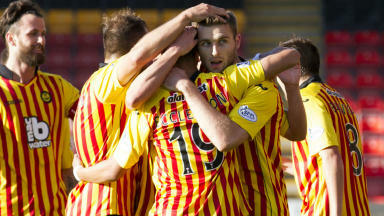 And after arriving at Firhill on a free transfer, the 25-year-old defender was quick to praise the contribution of Miller and agent John Viola. He told STV: "Six years ago I played in Lierse with Charlie Miller and we kept in contact. "I remember the first day I signed my first contract when I was 17. "I was with my mum and that day Charlie also signed his contract with Lierse. That's why we've got a special bond together. "We were also good friends in Lierse so we've played plenty times together." Having only played in his homeland, Frans was on the hunt for a new adventure this summer and Miller was keen to recommend he tried his luck in Scotland. He added: "I was a free agent this summer and I spoke to Charlie and John Viola and they helped me out to find a team for me. "I didn't want to stay in Belgium - I wanted to go abroad - that's why I came to them and they helped me very well. "He [Miller] said it was perfect for me because of my height and strength. I'm a good headerer of the ball so he said I would be good here." Having trained with Alan Archibald's team over the international break, the central defender is settling in well to life in Glasgow. On his new team-mates, he added: "They're all very nice guys. It's really nice here. "I've also been in Lierse and I have to say the mentality of the players here in the UK is completely different from Belgium. "They make you feel really welcome and from the first day you're like one of them. So I really like it." As his search for a new club went on, Frans enjoyed a trial with Championship side Leeds United earlier this summer. The 25-year-old was told by Leeds owner Massimo Cellino that he would be offered a deal if he impressed manager David Hockaday. However after training and playing twice in bounce matches, Frans found out Hockaday had been axed as United manager leading to the collapse of his move to Elland Road. Upon his arrival in Scotland, Belgian Denayer expressed his admiration for his countryman and team-mate Vincent Kompany and fellow countryman Frans is also a big fan of the Manchester City captain. As a teenager Frans faced a young Kompany during their time in the Belgian top flight. During a spell out injured, the former Lierse man became friends with Kompany’s brother Francois as they completed their rehabilitation programmes.